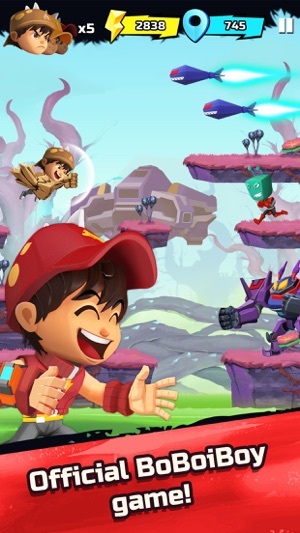 Fight Aliens to Defend Earth! 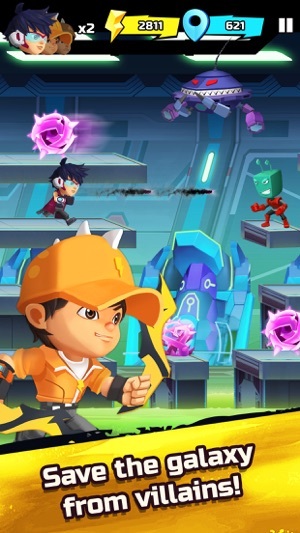 Power up and jump into the universe of BoBoiBoy, full of excitement, fun and stunning worlds for you to battle through. Power Spheras grant unimaginable might. In the hands of evildoers, they could wreak havoc throughout the universe. 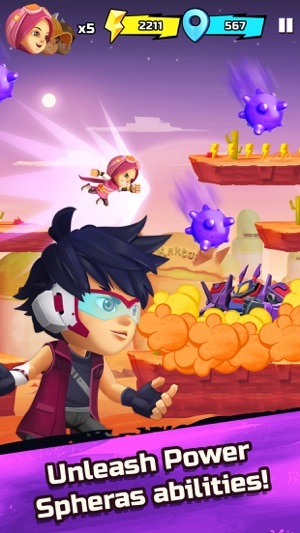 Run around the galaxy with your friends and defeat villains, who want to capture Power Spheras. 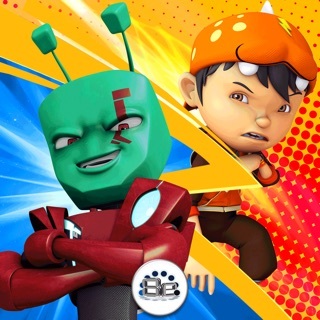 - ICONIC BOBOIBOY CHARACTERS: Rescue teammates along the way and play as your favorite heroes from the show, including Fang, Hanna, Ying and more! - SIMPLE GAMEPLAY: Run and shoot automatically. 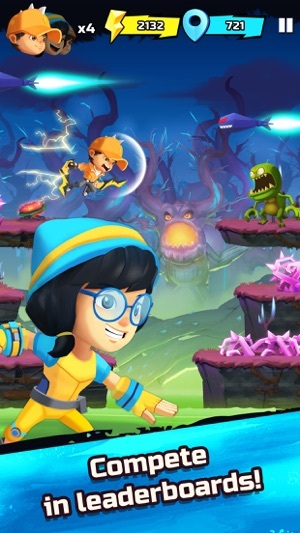 All you have to do is tap and swipe to jump, double-jump, avoid obstacles and grab Power Spheras to defeat your enemies. - UP TO THE CHALLENGE? Take on numerous Missions to complete as you fight to save the galaxy. 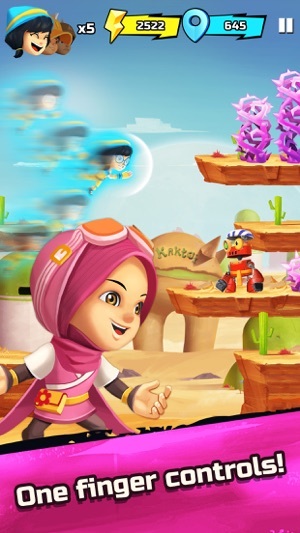 - FUN WITH FRIENDS: Challenge your friends to top your high score on the Leaderboards. This may contain third-party advertisements that may redirect you to a third-party site. ©2017 WHAT (games). All rights reserved. © 2017 Animonsta Studios Sdn. Bhd.